Daniel works as a Program Assistant for the Master of Human Resources program where he enjoys working with students, faculty, and staff. 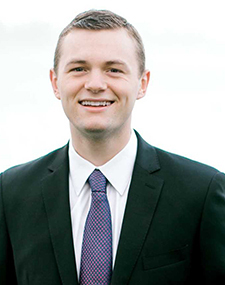 He is currently working toward a bachelor’s degree in International Business and Finance at Utah State University. Daniel and his wife, Brianna, are from Bellevue, Washington. He has also lived in Chicago, Illinois and Monterey, California. Daniel enjoys wakeboarding, mountain biking, and spending time with his family. His favorite part of his job is getting to know the students in the program.